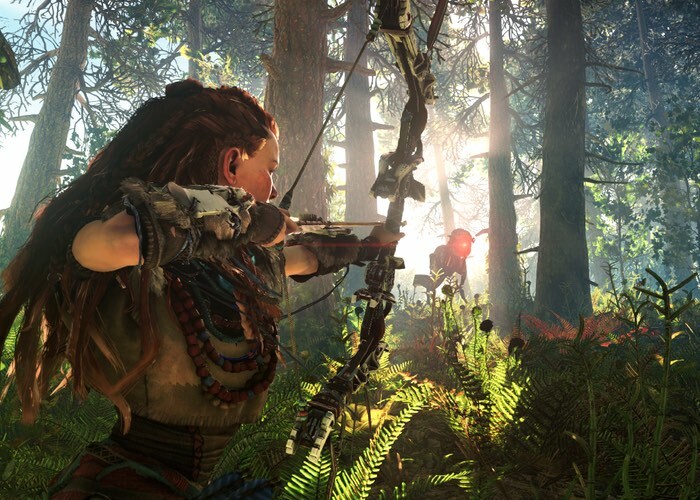 Today Hermen Hulst Managing Director at Guerrilla Games has confirmed the release date for the new upcoming exclusive PlayStation 4 game, Horizon Zero Dawn as well as releasing a new trailer the form of Aloy’s Journey providing a further look at what you can expect from the RPG game. Horizon Zero Dawn will launch early next year on February 28th and will provide players with a open-world action RPG that has been developed by the award winning studio Guerrilla Games, whose team has also been responsible for creating the PlayStation Killzone games. In a lush, vibrant, post-apocalyptic open world, colossal mechanized creatures roam a landscape that they have torn from the grip of mankind.Human evolution has, over time, regressed to a tribal hunter-gatherer existence, surviving amongst towering forests, imposing mountain ranges and the atmospheric ruins of a bygone civilisation – while the savage machines have become all-powerful. You are Aloy, a skilled hunter who relies on speed, cunning and agility to stay alive and protect her tribe against the strength, size and raw power of the machines. Against overwhelming odds, you must embark on a compelling, emotional journey to uncover the secrets of a forgotten civilisation, the ancient artefacts they left behind, and to learn more about the advanced technologies that will determine the fate of the planet – and of human life itself. Scour every corner of a realm filled with ancient relics and mysterious buildings to uncover your past and unearth the many secrets of a forgotten land. How have machines dominated this world, what is their purpose – and what became of the civilization here before? For more information on the new Horizon Zero Dawn game that will be exclusively launching on the PS4 jump over to the official website for details via the link below.